Are you as pumped for the new Halloween movie as we are?! Would you like two tickets on us? We’re giving away two free tickets to Halloween out October 19th. -Drop us a review on iTunes, Like, Comment, Share and tag us on social media to rack up entries. -Up to four entries per person. -Drawing will happen on October 16th. All entries will be entered into a random name picker. -Winner will receive two tickets via email, date and time of movie will be determined by the winner. -Liking and Commenting on a post equals one entry. -Sharing/Reposting & Tagging us will equal one entry. -Leaving us a 5 star review on iTunes then sending us a screenshot of your review will get you two entries! 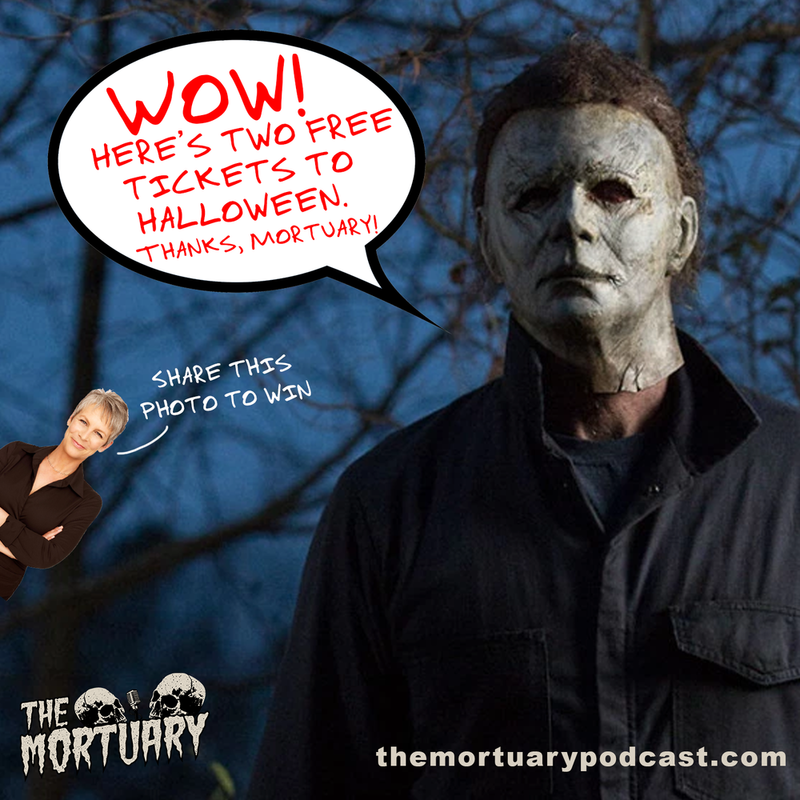 That’s a total of four entries to win free tickets to the new Halloween movie! Spread the word!